If there exists a more instantly likable cast of characters than the Peanuts gang, I have no knowledge of them. From down on his luck Charlie Brown to the crabby Lucy and her wiser-than-his-years brother Linus, to the tomboy/smart-girl duo of Peppermint Patty and Marcy to Joe Cool himself, Snoopy, The Peanuts characters have entertained people for generations due to their relatable, everyday nature and the way they weave deep subtext into otherwise simplistic stories. It’s because of that timeless charm that a contemporary Peanuts movie may seem like a shaky idea. Today’s audiences are more used to faster and more hyperactive stories, and more extravagant characters. You might think that a modern day Peanuts film might not have a place among today’s movies, unless it conformed to modern conventions and abandoned the nature of Charles Schulz’s stories. You may shudder to think that such conformity might become a reality with the aptly titled Peanuts Movie, seeing as it comes from Blue Sky Studios, the animation studio behind the increasingly manic Ice Age franchise. 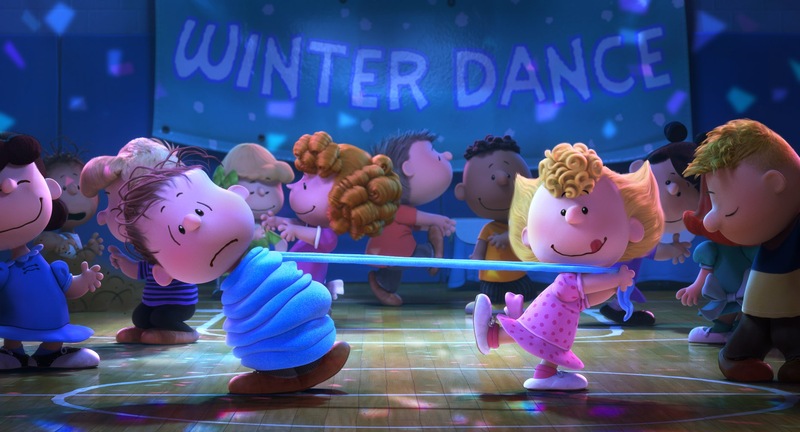 All worries should melt away within the first few minutes of The Peanuts Movie, however. The film has earned its title, as it very much is a Peanuts movie. And even in today’s fast-paced movie world, the simplicity and sincerity of the Peanuts gang is as enjoyable as ever. The story of The Peanuts Movie couldn’t be simpler. 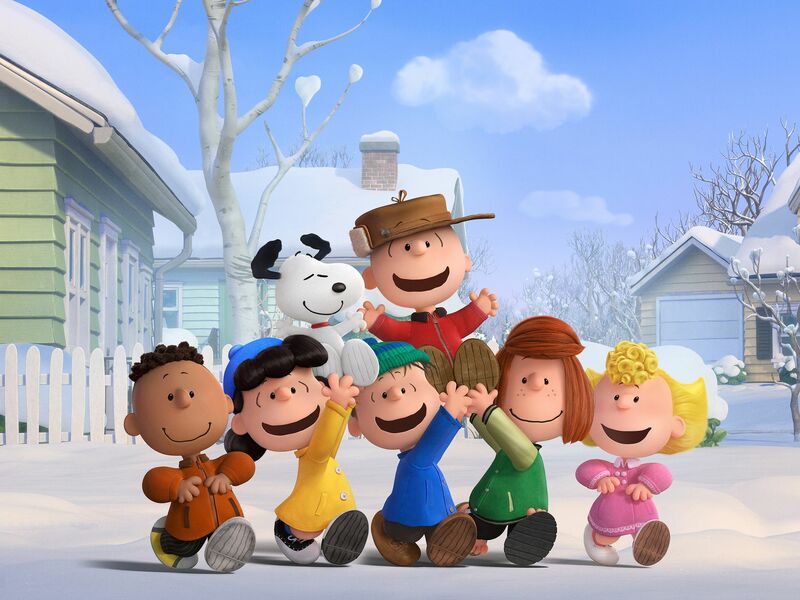 During a snowy winter (around Christmastime, which is most appropriate for a Peanuts film), a new kid moves into Charlie Brown’s neighborhood. It turns out this new kid is none other than the Little Red-Haired Girl. Charlie Brown fatefully falls head over heels for her, but due to his melancholic and self-defeating nature, he is unable to bring himself to speak to her (or even stand in her presence for that matter). 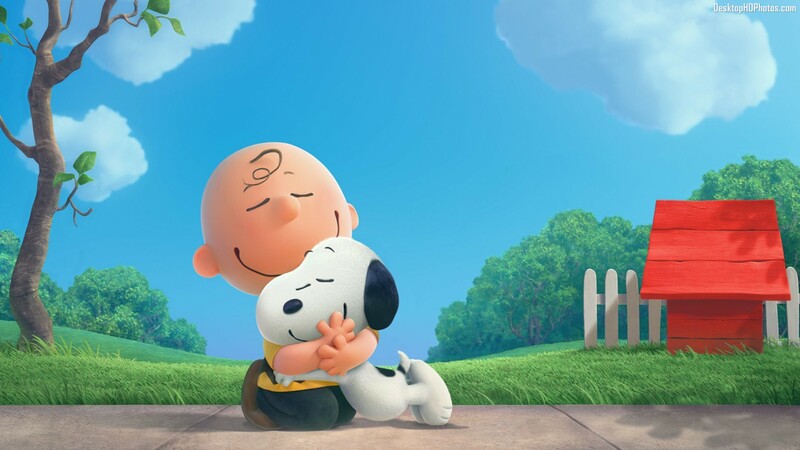 The film then follows the various attempts of Charlie Brown – aided by his dog Snoopy and their friends – to try to make something of himself so he can get over his shyness and work up the courage to talk to the Little Red-Haired Girl. That’s really all the plot is about. And I wouldn’t have it any other way. 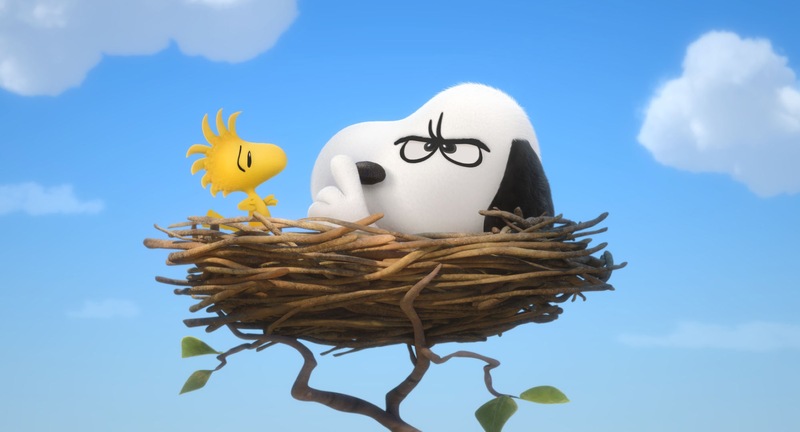 The Peanuts Movie is almost startlingly faithful to the tone of Charles Schulz’s stories. The movie flows in a somewhat episodic nature, which is fitting considering Peanuts’ origins as a weekly comic strip. Despite the often bite-sized pieces that make up the greater story, it works due to how they ultimately end up connecting, and for the endearingly sweet stories each of them tell. The majority of classic Peanuts characters return, with only the later and lesser known characters (such as Rerun) being left out of the loop. The movie also manages to fit in many of the recurring elements from the strips and animated specials (the Kite Eating Tree, Lucy’s psychiatric booth, even a number of jokes return). It plays up the history of the property in a way that feels more like a loving tribute than fan-service. It’s both nostalgic for Peanuts, and nostalgic by the very nature of being Peanuts. The movie takes a cue from the original animated specials by having all the characters voiced by real kids, a trait that may be more common in animation today, but was largely pioneered by the Peanuts specials. The voice cast sounds almost eerily close to the voices of the first few holiday specials, but thankfully the new kids are much better actors. In terms of animation, the movie looks great. The idea of seeing Peanuts characters in CG may seem off-putting at first, but it’s amazing how closely it resembles the style of the comic strip. The characters even move similar to how they did in the specials (though much more fluidly). By recreating Charles Schulz’s designs in CG, the film is given a really unique look that, despite not being a “big” feature, is visually captivating. Familiar Peanuts tunes return, with some of Vince Guaraldi’s original musical pieces being used, as well as some recreations of them, as well as some new music, by Christophe Beck. Both the old and new music is wonderful, and helps capture the spirit of Peanuts. On the downside however, there is a song by Meghan Trainor featured in the film which, while not necessarily bad, simply doesn’t fit. The song could be a lot worse, but it just sounds too contemporary in a movie where every other element feels timeless. The only other downside to The Peanuts Movie is that the main plot gets sidelined a couple of times in favor of a sub-plot where Snoopy writes one of his famous stories about a WWI flying ace taking on the Red Baron. I won’t say it’s a big complaint, since the side story in question is entertaining on its own merits. The Red Baron segments feature dogfight scenes that are reminiscent of Hayao Miyazaki’s Porco Rosso, and take us into Snoopy’s imagination more vividly than any prior Peanuts animation ever could. The only problem is that these segments become more frequent as the film goes on, and might be seen as a means to stretch the running time. They’re fun in their own right, but I may have preferred a few more scenes of Charlie Brown’s more lower-key story. When all is said and done, however, The Peanuts Movie is an absolute delight. To say it’s the best film to come out of Blue Sky Studios is an immense understatement. It’s the first genuine animated classic the studio has made. The Peanuts Movie is filled with the same sincerity and charm you would expect from the Peanuts gang. The story is simple, heartfelt and endearing, and the characters are as likable as ever. It’s that rare kind of movie that makes you happy simply for having seen it. Charles Schulz would be proud. I was five years old when A Charlie Brown Christmas first aired. I have been in love with Peanuts ever since. Great review. I can’t wait to see it. Next Next post: The Force Awakens Delivers!